Better control of fan speed means better control of energy consumption and energy costs. Put simply, an inverter is used to vary the speed of the motor to match the required load. In most cases, fans are specified to match the maximum ventilation requirements of the setting. Installing an inverter allows you to control the speed of your fan motor to match the actual ventilation needs, rather than run the fan at full power constantly. An inverter can vary the motor speed with no loss of efficiency. Inverters can be used for simple speed control on a permanent basis or linked to controls which can change between pre-set speeds, dictating the amount of time that the fan runs at full speed. When linked with a sensor system, inverters can prove to be even more effective by controlling the motor’s performance based on any number of pre-defined settings. These settings usually relate to factors like temperature, air flow or humidity and remove the need for manual adjustment. How do inverters save energy? Reducing the speed of the motor will reduce the amount of energy needed to power it. The reduction in energy can be by as much as 8 times the reduction in speed. The resulting energy savings usually pay for the inverter in a relatively short period of time. If you have details of your electricity prices and the usage of your equipment we can give you the approximate payback time. Due to recent ERP regulation changes, some motor sizes and efficiencies can now only comply if used with an inverter. What other benefits can inverters have on the fan system? Whilst inverters play a key-role in energy saving initiatives, there are further benefits to speed control. Reducing the amount of time that the motor runs at full speed will reduce the strain on your motor and any related components. The motor only works as hard as it needs to, so helping to prolong the service life of the motor and the whole system. This results in lower maintenance requirements and, again, lowers costs. The improved control provided by an inverter also makes it easier to stop the ventilation system; another factor which can impact on the wear and tear of the mechanical components. Other forms of fan control, such as dampers, simply change the resistance of the system with the fan on full speed and so do not save energy. Inverters also make it easier to commission the fan with the equipment it is extracting from as the system can be controlled in one place and there is no need to make alterations to ducting. Axair’s inverter models can run off a 230/1/50 electrical supply and convert it to a 230/3/50 supply into the fan motor. Other models run off a 400/3/50 supply with a 400/3/50 to the fan motor. The inverter is simple to set up and easy to use. It has an on/off switch and a potentiometer to control the speed on the front of the unit. There are two levels of ingress protection available; IP20 or IP66. The IP66 version is suitable for hose down but if installed outdoors may need additional protection, this can be discussed with our engineers. Axair have a range of polypropylene fume extract fans which lend themselves to running with inverters due to the varied requirements of fume cupboards. Having a sash which opens and closes means the fan speed needs to change in response to sash movements. To work with the fume cupboard, we supply controllers. These work with the inverter to speed up or slow down with the movement of the fume cupboard sash. 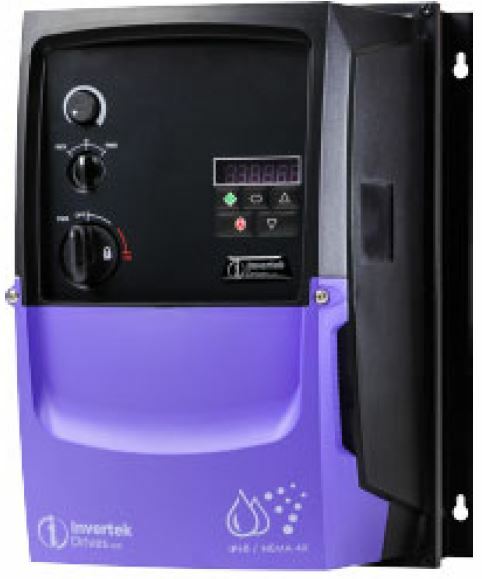 The inverter also has the option of being connected into the Building Management System. If you need to discuss your fan applications please do not hesitate to contact our team on 01782 349 430, email sales@axair-fans.co.uk or go to our fan control page. This entry was posted on Wednesday, January 30th, 2019 at 3:00 pm and is filed under Environmental, Industry, Products. You can follow any responses to this entry through the RSS 2.0 feed. Both comments and pings are currently closed.